Chocodiles ~ Hostess Chocodiles ~ WE HAVE 'EM!! They are now in 'FUN SIZE' cakes. Each cake is still individually wrapped. Each box contains 9 Chocodiles. Our website is simple, secure, and fast! Just choose the quantity you'd like to order, and we do the rest! Today is ~ Your order will be shipped either today or tomorrow!! Original Hostess® Chocodiles JUST RELEASED Novemeber,2014!! 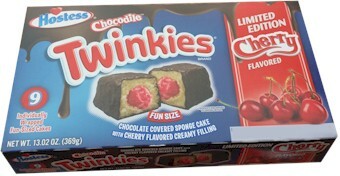 www.chocodiles123.com is not associated with Hostess Brands, LLC. , or any of their associated brands. 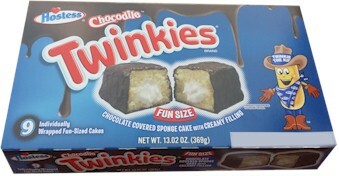 trademark of Hostess Brands, LLC.